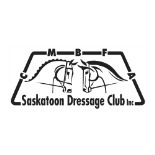 The Saskatoon Dressage Club aims to promote and spread the sport of Dressage throughout Saskatoon and surrounding area. Formerly the Saskatoon District Cadora the S.D.C. has been providing shows and clinics for the dressage riders of Saskatoon since the 1970’s.